The School of Computing, Informatics, and Decision Systems Engineering has seen a tremendous year. As we move forward, my aim is strengthening our academic and research enterprise by building on the school’s legacy of excellence and innovation. Our faculty — a cadre of creative and innovative experts — are leading and contributing to discoveries of foundational value. With expertise spanning artificial intelligence, robotics, cybersecurity, software and enterprise systems, our faculty drive transformative advances in human-technology systems. We are energized and boundless; teaching robots in hours not days, revolutionizing programmable material and paving the way for future innovation. The school’s junior faculty has impressed on the national level by receiving numerous National Science Foundation CAREER Awards. The NSF-funded research projects of Adam Doupé, Hanghang Tong, Fengbo Ren and Carole-Jean Wu sought to find unknown vulnerabilities in web applications, improve a network’s ability to function during a disturbance, fill unmet energy-efficiency needs with a data-driven internet of things framework and advance handheld device design from the user satisfaction perspective. Our faculty also made strides in defense, health care and programmable matter with computing. Professor Gail-Joon Ahn became director the ASU Global Security Initiative Center for Cybersecurity and Digital Forensics, which develops tools and technologies to address challenges in cybersecurity. Assistant research professor Troy McDaniel created adaptive assistive computing technology to aid individuals with disabilities, such as people who are blind or have suffered strokes. Professor Andrea Richa helped develop a nature-inspired “amoebot” to explore programmable materials — a smart network of self-organizing particles that can monitor and respond to their environment. These represent just a few examples of the imaginative work that keeps our school at the forefront of information science. 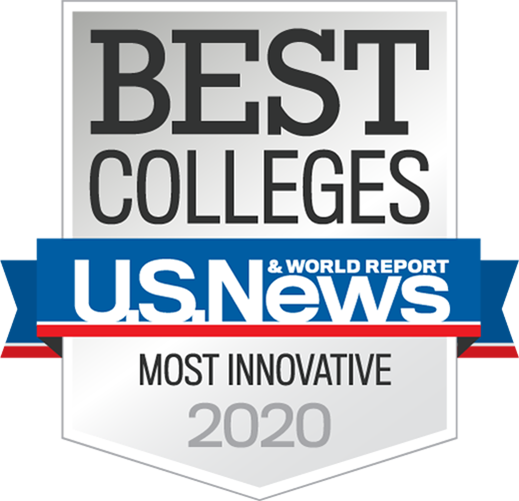 In January of 2019, U.S. News & World Report ranked computer engineering as 34th, computer science as 43rd and industrial engineering as 18th in the nation. The combination of our award-winning faculty, interdisciplinary research and nationally recognized undergraduate and graduate programs has attracted top students from across the country. With more than 6,000 students enrolled, CIDSE is the largest and fastest growing unit in ASU’s Ira A. Fulton Schools of Engineering. CIDSE is a leader in online education. Our school boasts the first four-year online engineering management program for undergraduates. We also recently launched an online master’s program in computer science, enabling thousands of students around the world access to this rigorous curriculum. I’m proud of the work we’re doing to extend our reach to underrepresented communities through initiatives like Building, Recruiting, And Inclusion for Diversity, or BRAID — a national partnership of 15 universities across the U.S. helping increase the percentage of women and underrepresented minorities in undergraduate computing programs and subsequently increasing diversity in the computing talent pipeline. I look forward to continuing the partnership between our faculty, students and staff to pave the way for future innovations in human-aware robotics, big data systems, intelligent manufacturing systems, cyber defense strategies, smart infrastructure and so much more. I’m energized about the future direction of the School of Computing, Informatics, and Decision Systems Engineering and hope you’ll join me as we continue to push it to the next level.